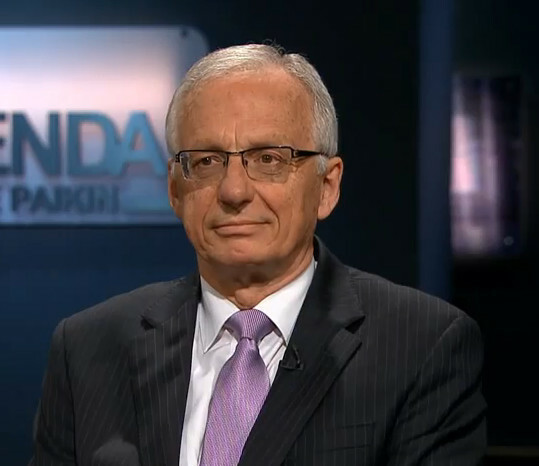 Last Wednesday, The Agenda with Steve Paikin hosted four Greater Toronto and Hamilton Area (GTHA) mayors: Hamilton mayor Bob Bratina, Caledon mayor Marolyn Morrison, Ajax mayor Steve Parish, and Oshawa mayor John Henry. The segment runs just over 24 minutes. It's definitely worth watching in full to appreciate the perspectives of the four GTHA mayors, including the Mayor of Hamilton. Bratina: We like to call ourselves a 20 minute city. You can get anywhere in 20 minutes. On a bad day you're gonna bump into stuff, but congestion is not our issue. And the Metrolinx plan for Hamilton has an LRT, but it's not designed for congestion, it's designed for transit oriented development. In other words, put it in and good things will happen around it. Paikin: And you buy that? Bratina: Ummm, it's a good discussion. Paikin: It's a good discussion but you're not completely sold, it sounds like. Bratina: Well, what I would say, Steve, is that we do have from Metrolinx the expanded GO service. It will be a new station, James Street North, all-day two-way GO service, and a possible extension down to Stoney Creek. And those will certainly affect, in a positive way, congestion. But the LRT is a different story. And so, um, but our Council has put forward a plan which includes that LRT and now we're waiting to see the devil that is in the details. Paikin: What about Hamilton? Are you signing onto The Big Move? Bratina: Well, Hamilton, uh, I agree with my colleagues. The principle [of The Big Move] is terrific. I've asked our director of finance and he's bringing forward a breakdown, a report, on the implications. One of the things we have to be concerned about is our credit rating and how much money will go into the project. We also don't want to put ourselves at a competitive disadvantage by being more costly to have gas stations and shopping centres. If there is a competitive disadvantage, people will tend to migrate to the cheaper areas. But the one numbe that's come forward today is quite interesting, and that was from [Councillor] Denzil Minnan-Wong from the City of Toronto. And you can - the Ontario Health Premium is a $900 premium that generates about $3 billion a year for the province. So $3 billion's a little more than $2 billion. Mr. Wong suggested that it was going to be about $900 per household per year for the next forseeable future. And I think the public needs to know that. Paikin: Well that's a guess. Obviously, if you don't use the roads as much you'll pay less, and if you use it more, the theory is you'll pay more. Bratina: True. Once again, it's difficult for Hamilton because in the city there's no congestion. Soon as we hit, if you're going to Peel or Mississauga or Toronto to go to work, we had a long drive in this morning to go to the program, and many Hamiltonians do find themselves in that congestion, and yes, let's fix it. But others don't, and then we have another disadvantage in Hamilton, which is affordability. We, our city, because of the level of income, people pay more on the percentage of their household income to pay their taxes than other cities, and, you know, it's regrettable and we're fixing that, but how do you tell someone who has low affordability that we're going to increase it, for something that may not occur for five, ten, 15 years in terms of prioritie? Paikin: The Mayor of Hamilton, in my hearing, has not signed on to these new tools yet. I'll continue to transcribe and post as I get through it. 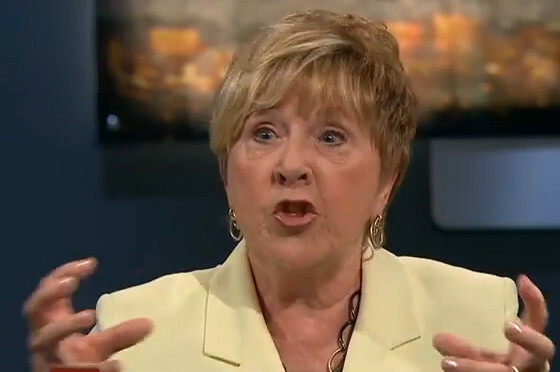 Paikin: [to Caledon Mayor Marolyn Morrison]: Do you want to pay an extra toll every time you drive on the 401? Do you want to pay extra money to use an HOV lane? When the devil is in the details, how much political capital are you prepared to expend in order to make this happen? Morrison: Yes, look at the whole GTAH, and Hamilton is part of that. I mean, if the whole GTAH is successful and profitable, we're all benefit, you know, everybody benefits. Ontario benefits. So, I mean, I will go on record and I hope Mayor Bratina doesn't throw something at me here [! ], but I will go on record saying I have a really tough time knowing that in the region of Peel, my taxes go towards GO, which they do, because we pay a good portion of it, and I have no GO service and I'm in the GTA. And then I have a train that goes to Barrie - I don't mean I have one - there's a train that goes to Guelph, to Kitchener, to Hamilton, talking about Stoney Creek. You have to pay for that. You have to figure out a way to pay for that. I'm willing to sell some of these things to my residents and to get them on board, because they have to realize that the economic prosperity of the GTAH is dependent on our jobs, our, keeping our taxes down, all of that. I can't watch it, I just can't...but I'll continue to read your transcript. Cheers. Related: RTH interviewed Ajax Mayor Steve Parish a few years ago about constraining sprawl and reining in the political influence of residential homebuilders. What's that nonsense about gas stations and shopping malls? And the GTAH? I can't watch anymore. I would pay more taxes for this with bells on! My property would go up in value! Urk, not one of Hamilton's proudest moments on the provincial stage. I don't know if I can bring myself to watch this. "The 20-minute city" ... I've never heard that before and wish that I never had. The ability to race across my city quickly and easily is nothing I've ever been inclined to brag about - except in a back-handed when I first moved here from the boring-but-smulgy-superior-suburbs and might have said something close to that (only you'd have to replacee "my city" with "this sh*t hole").